Your teeth are critical to your overall health and wellbeing. Showing your pearly whites are essential to making a good impression, but neglecting your teeth can cause bad breath and result in problems down the line. 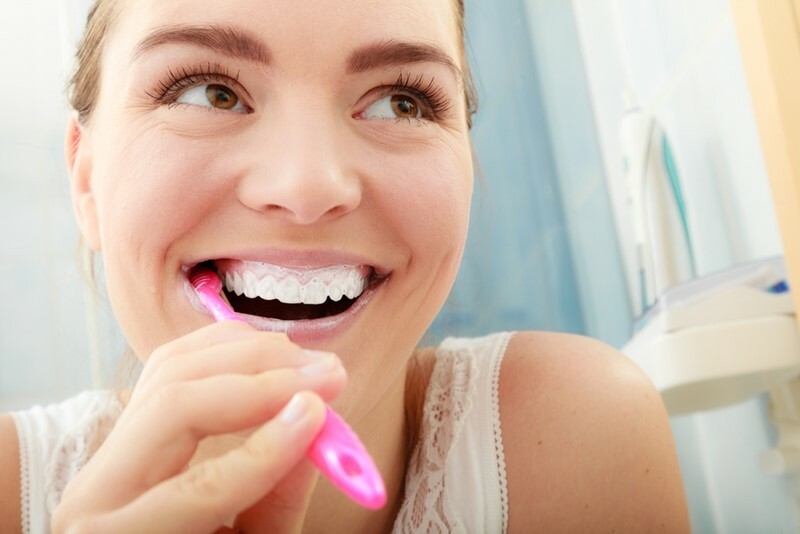 Let's take a look at how to keep your teeth healthy and give them the care they deserve. Brushing your teeth is the first basic step to preserving dental health as it cleans food and bacteria from your mouth. The American Dental Association recommends brushing twice a day for two minutes. Following this regimen with a fluoride toothpaste will help effectively remove plaque and prevent cavities. However, it is very easy to overdo it when brushing your teeth. According to The Health Site, brushing more than the recommended time can actually erode your teeth enamel and push back the gums to expose sensitive root areas. You should also ensure that you aren't brushing too hard. Brush your teeth like you're polishing an eggshell, and look at your toothbrush for signs of wear that could indicate aggressive brushing. Overbrushing can wear away tooth enamel. What you're putting into your body not only impacts your overall health, it also can heavily affect your teeth. Certain substances will corrode your tooth enamel quickly or make it more susceptible to cavities. Healthline noted that all sodas, soft drinks and sports drinks contain acid and sugar that can eat away at the enamel, leave stains, erode the tooth and create cavities. Limiting your consumption of these drinks and caring for your teeth will prevent decay. It's equally as important to watch what you eat and consume acidic foods in moderation. Jamaica Observer noted that fruits like lemons, limes, oranges and grapefruits in particular can be healthy but must be eaten with water to ensure they don't harm your enamel. Pickles, tomato products, alcohol, coffee and cranberries also fall into this category. By maintaining healthy dietary choices and drinking plenty of water, you will be able to stop dental erosion and cleanse your mouth of the acids regularly. "It's important to instill good hygiene habits from an early age." People typically care about their dental health more as they get older, but it's important to instill good hygiene habits from an early age. Making critical decisions as a parent can also impact your children's teeth. For example, breastfeeding a child for too long can impact their dental development. According to a study in the journal Pediatrics, children who are a breastfed for two years or longer have a 2.4 times higher risk of developing severe cavities. The frequency of feeding can make it difficult to clean teeth and limit sugar in the child's diet. Teeth are important fixtures in our bodies, as they help us consume food and communicate effectively. Doctors and dentists must educate their patients on how to take care of their dental health and the benefits that it will bring to their overall wellbeing. Brushing appropriately, avoiding acidic foods and instilling good dental hygiene early on will be essential to limiting cavities and preventing decay.